The new policies have limited scope for tenants and much more needs to be done. New policies offering schooling rights to home renters in Guangzhou are a welcome step that will benefit tenants, landlords, and developers, but the Chinese government still has much to do to reform its housing market. The stakes are getting higher as China prepares to welcome 250 million new urban residents by 2026. Guangzhou’s city government on July 17 announced new policies for rental tenants that included giving them the same access to local education facilities as homeowners. Prior to the new policy, only those owning homes close to a school were eligible to enroll their children, which – combined with high house prices, particularly for homes near to the best schools – limited education opportunities for renters. This is undoubtedly good news for landlords owning property close to sought-after schools. With annual rental yields falling below 2 percent recently, landlords may be able to pass on higher rents and boost their yields, as the policy change is expected to spur rental demand. For developers, the policy change is just what they have been waiting for. Major players, including Vanke, are attempting to shift their business models away from sales-led development to which also include construction projects for long-term leasing. For tenants, the new policy is a welcome change, but will be limited in scope. 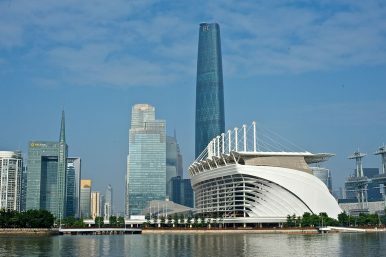 The new rules only apply to official Guangzhou residents, or highly qualified migrants with acceptable scores according to the government’s new points-based urban residency system. This means that a large part of Guangzhou’s population, which was estimated in 2014 to include 8.37 million “floating” or non-resident migrant citizens, will not be able to enjoy the rights extended under the newly announced policy. Part of the focus of the policy is to reduce speculation by making it more attractive to rent property. However, this is an oversimplified view. The prospect of increased rental demand will support demand from investors looking to build their property portfolios, putting more pressure on tight housing supplies, and pushing up prices. China needs to introduce reforms that effectively reduce the incentives for property speculation, but this is something it has consistently failed to do. For many years, the government has spoken about bringing in property taxes to raise the cost of amassing large property portfolios, but — aside from two experiments in Shanghai and Chongqing — has failed to implement meaningful policy change. Aside from increasing taxes on property accumulation, China needs to address the chronic issue of overpriced housing by developing affordable properties for lower-income groups. This is another area where the government’s lofty targets of delivering 36 million affordable homes by 2015 have fallen well short. The government’s attempts have been stymied by limited supplies, higher-than-expected prices, corruption in unit allocation, embezzlement of dedicated funds, and quality issues. So while Guangzhou’s new policy initiative has clear benefits for tenants, landlords, and developers, the Chinese government still has much to do if it is to successfully reform its residential property system. After the recent round of rapid price rises, and with an estimated 250 million rural residents set to move to China’s cities by 2026, the need to deliver meaningful reform is more pressing than ever. How Worried Should China Be About its ‘Consumption Downgrade’? Whether there is a “consumption downgrade” remains debatable, but real threats are growing in China’s economy.